Since the first mainstream keyboard synthesizers were released in the 1960s, musicians from classical pianists to hip-hop producers have enjoyed and made use of their versatility and unique sonic elements. 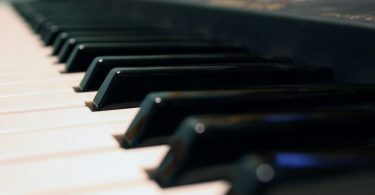 Keyboard and MIDI sound modules allow any musician to control an array of effects, synthesized instruments, and timbres through digital pianos, MIDI keyboards, and in some cases, computers. Delivers more than 100 sounds, along with plenty of effects and recording features, in one compact, user-friendly package. Choosing a sound module can feel like an overwhelming task. Not only are companies manufacturing new modules all of the time, but many have begun to develop sound modules that emulate the sounds of classic synthesizers. On top of that, specific modules exist to meet different types of musicians’ needs. Some MIDI sound modules are designed for touring musicians who need a rugged device they can take on the road. Professional studio musicians and serious audiophiles playing at home might want the highest-quality tones they can hear, but only need a narrow range of synthesized instruments. We looked at their features of various keyboard sound modules and drew on our own knowledge of sound modules and MIDI devices, which includes years of playing MIDI-compatible keyboards and composing music with MIDI devices. For reliability, we conducted extensive research that went beyond just our personal experiences with these devices. We considered our readers’ impressions about certain modules and took note of the many pros and cons they identified. We talked to a number fellow musicians who use sound modules with their keyboards and MIDI devices at home, in the studio, and on tour, so that we could get their expert opinions on the top products and the mandatory features they felt any keyboard or MIDI sound module must have. We were able to narrow a long list down to ten modules that can meet the needs of the many types of musicians. From there we were able to pick the single MIDI sound module that we believe caters to the largest number of musicians. To get the most out of a sound module, you will want to know a few things about them before shopping around. Sound modules emulate different types of sounds using digital technology. Keyboard sound modules usually make use of the technical standard known as MIDI, or “Musical Instrument Digital Interface.” MIDI is a standard format for digital signals that allows different digital instruments and devices to communicate with one another. In essence, a MIDI keyboard and a MIDI sound module both speak the language of MIDI. 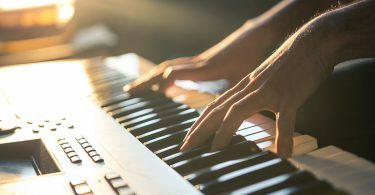 For this reason, when the two devices are connected via a cable that can transmit MIDI signals, the keyboard can be used to generate any sound that is stored in the module’s sound banks. First, you need an input device, sometimes also referred to as a controller. The input device lets you enter the notes you wish to play. Any MIDI keyboard can serve as an input device, and so can many digital pianos, if they are MIDI-enabled. Computer software that allows for MIDI playing, composition, and recording can allow your laptop, desktop, or even your mobile device to be used as a controller, but not all sound modules are compatible with them. Second, you need a sound bank, which converts the input to a digital signal. All sound modules provide a sound bank and, in many cases, various effects to use, both of which make use of a digital signal. 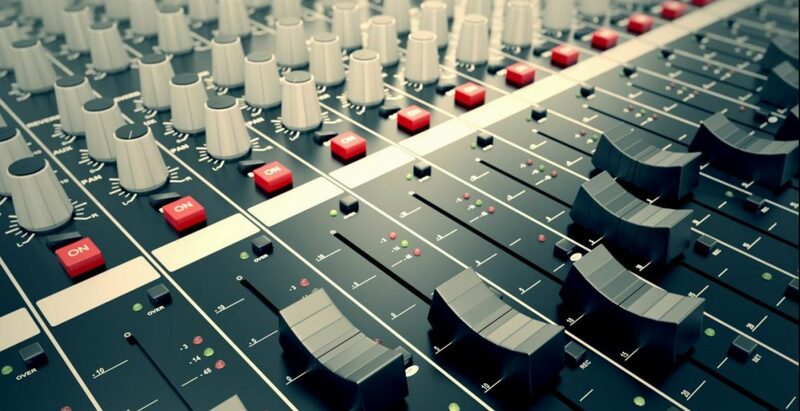 The signal reflects a given type of sound or instrument, and MIDI technology allows the signal’s waveforms to be edited, which changes the sound. Enabling an effect like reverb can also change the way the waveform is processed and played back, without changing the timbre of the waveform itself. This way, if you enable reverb on a violin sound, you will still hear the same violin, but the instrument will sound fuller. The more robust sound comes from the waveform being replicated at a slightly different tone when you play a given note. Third, you need some form of output device, which converts the digital signal to an audio signal you can hear. In some sound modules, built-in speakers provide the output. Other modules do not have their own speakers, so will you need to hook up a pair of headphones or speakers to the module to hear anything, even when you have the input hooked up to the module. If you are using a sound module with a digital piano or computer, the speakers from those devices can serve as your output. For a great overview of MIDI, including its historical and technical sides, this article from the Indiana University of Bloomington has a wealth of information. Finally, you will want to know how to hook up a sound module. Sound modules can be connected to input devices using a designated MIDI cable. However, modules designed for use with computers and some newer MIDI controllers can also make use of a regular USB cable. The two most important pieces of information you can have when choosing a keyboard or MIDI sound module are to know which modules are on the market and to have an idea of what you will want to use your module for. As we noted above, the sound module market has become more expansive and diversified over the years. Manufacturers design certain sound modules to present users with as many instruments, polyphonics, channels, and effects as possible. Other sound modules mainly excel in doing just a few things but doing them well. Some of the more specialized modules deliver crisp, clear drum samples, or the perfect string crescendo. Alternately, highly specialized devices may let you reproduce tones from older technology without having to figure out how you can track down, let alone afford, a synthesizer that has not been produced since the 1980s. Manufacturers create some modules with the ability to edit or place effects on sounds that are created through other devices, but the most basic sound modules will solely allow you to utilize pre-programmed instrument tones, perhaps with a reverb or chorus effect. You should be aware of a few other ways that sound modules can differ from each other. Even though MIDI sound modules can interface with any other MIDI device, sound modules have sometimes been optimized for use with specific equipment. For example, manufacturers may design a given module to primarily be used with a MIDI keyboard, while others can more easily operate with a broader range of devices, like digital pianos that allow MIDI input or computers. Although a few modules can generate their own output sounds, many are intended to be routed through speakers. 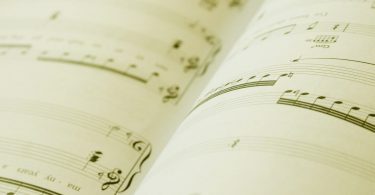 You may need headphones or a device that can provide both input and output, like a digital piano or a computer with its own speakers, to ensure you can hear certain sound modules. A sound module’s functionality often impacts its physical specifications, too. These specifications include the module’s size, weight, and ability to be placed on a desk, or mounted on a rack of devices. Your basic knowledge of the sound module market should include how the leading devices compare in terms of these features. Knowing how you will use your sound module might seem like an obvious concept to be aware of, but if you do not give enough thought to your musical needs, you run the risk of buying a sound module that is not right for you. Which types of sounds will I need my module to contain? Will I be mostly using my module for just a few instruments, like piano or drums, or will I need to have access to as many sounds as possible? Will I need certain effects, like reverb or chorus, to get the exact sound that I want from my module? Would I benefit from having other forms of functionality in my module, like recording and playback options? Will I need high levels of polyphony or multi-timbre sounds? Where will I use my module? Will portability or weight be an issue if I am going to take my module with me to a large number of places? Will my module need built-in speakers? Will I want my module to run on its own power source, or will I connect it to a device like a computer that can also supply the module with power? What type of controller will I use for my module? Will I control the sounds through a standard MIDI keyboard or will I use another device, like a digital piano or a computer? 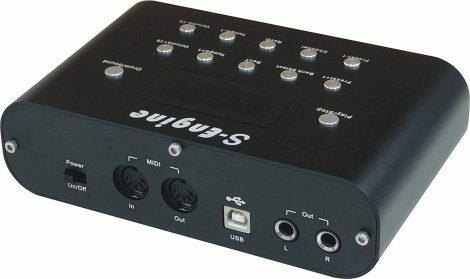 The S-Engine USB MIDI Sound Module, produced by Midiplus, is the best keyboard and MIDI sound module for all-around use, because it offers the most sounds and features for its size and price range. The S-Engine is one of the lower-cost modules available. This device has 192 sounds, which is more than most other comparably priced sounds modules offer, from pianos and organs to strings and brass instruments. Even with this many sounds, though, some readers have noted that their favorite instruments were not included in this module. If you know you will be using a specific instrument tone often, you may wish to make sure the S-Engine contains it. The S-Engine also has numerous drum samples, making it handy for situations where you might want to program a beat for a song or create your own rhythm track. In this sense, even people who primarily play another instrument can make good use of the S-Engine. As someone who also plays guitar, I have come to rely on MIDI drum tracks to play over when a live drummer is not available, so I appreciate the availability of a recording feature. The recording function, along with the additional effects features like chorus and reverb, adds to the wide range of uses that the S-Engine has, and allows this module to meet the needs of musicians, regardless of their preferred instrument or what styles they play. The interface also adds to this module’s appeal, as it has a clearly labeled 10-button setup, along with a larger display field than other portable modules, so you can easily see which sound your module is set to, or where the play button is, even if you are playing in a cozy coffee shop or under the bright lights of a stage. At the same time, though, the display appears a bit simplistic. Other portable modules have a similar, albeit smaller, bare-bones display, but some of the S-Engine’s functions would be easier to navigate with a pixel display. The Roland JU-06 gets our vote for runner-up keyboard and MIDI sound module. This module is a bit pricier, but we think it is a great option for professional musicians and home producers who want a highly distinct synthesizer sound at a reasonable price. We have a few reasons for naming the Roland JU-06 as runner-up include. This module lets musicians re-create the recognizable sound of the thirty-year-old Roland Juno-106 synthesizer, still heard in many modern rock, pop, techno, and hip-hop songs. 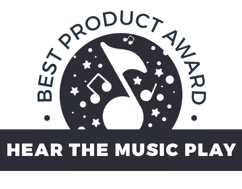 Reviewers have praised the preset sounds for having rich tones that come close to a warm, analog sound. That said, if you are looking for a more general-purpose MIDI sound module, the Juno-106 may not deliver the wider range of tones that you want. The layout of the module uses a variety of sliders that permit for high levels of customized sounds and effect edits. New module users might find the layout confusing, though, as it differs from many other modules. 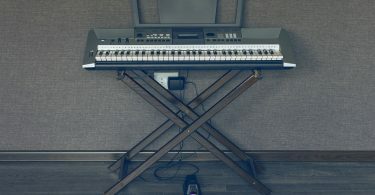 The JU-06 can be connected to a computer or a digital piano using a Micro USB or MIDI cable. However, most of the sound customization must still be performed on the module itself, meaning you will only be able to pitch shift and change notes via the input devices. Also, the JU-06 has relatively limited polyphony, so you can only play chords of four keys at a time. For anyone using the JU-06 with a digital piano, this is a limitation that could prove restrictive. 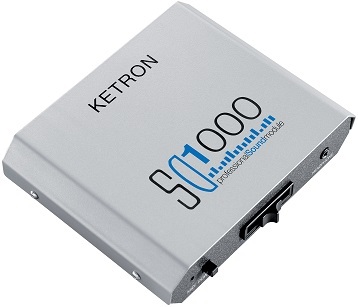 The Ketron SD1000 Pro Sound Module is among the more expensive midrange options for a sound module. We were impressed at the larger number of sound options with this module, as it has many more instruments and drum samples, along with pre-programmed loops, when compared to less expensive modules. This module was designed for use with a computer, and its sounds are highly impressive when used along with any MIDI editing program. Instruments that are often difficult to accurately replicate digitally, such as trumpets and saxophones, sound closer to their real counterparts than many other modules manage to accomplish. However, musicians who favor digital pianos or MIDI keyboards as controllers may find the SD100 difficult to use, because it lacks any type of built-in display. Therefore this model is mostly meant for individuals who prefer to program music. If you are a home or studio producer, you may find that the Ketron SD1000 provides you with a generous selection of tones, but live musicians may not find they have as much use for this module. 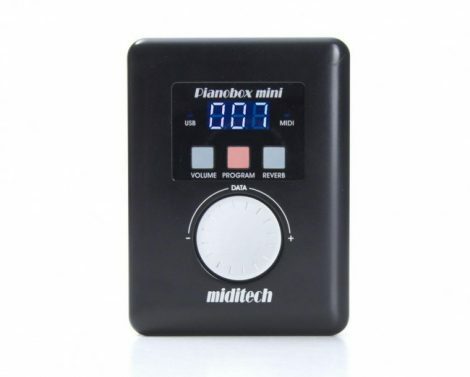 The PianoBox Mini General MIDI Sound Module, by Miditech, is priced at $139.31 right now. We found this device useful enough to rank on our list of top modules, but there are some shortcomings that could limit its utility for many musicians. True to its name, the PianoBox Mini is small enough to be carried easily, and it has a three-numeral display that permits musicians to use it with most MIDI controllers. One unique feature the PianoBox Mini has that we would like to see implemented more often is that it has a built-in battery, so unlike many other comparable modules, the PianoBox Mini does not always need to remain plugged in. Additionally, the battery is strong enough to run a MIDI keyboard on its own, too. However, we found it problematic that the sound bank contains fewer instruments than less-expensive devices. This module’s effects were limited to reverb, too. Beginners at using sound modules may welcome the simple interface, with just a few buttons and a wheel to control all of the device’s functions. Yet, at the same time, there are other modules that offer a bigger bang for the buck. 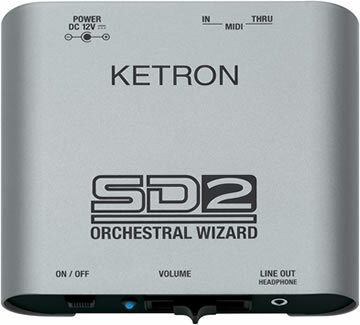 The Ketron SD2 is another midrange sound module. Like the SD1000, the Ketron SD2 was designed for use with computer software, but we found the SD2 to be compatible with a slightly larger number of MIDI software packages. We were impressed with the woodwind and brass instruments on this module, which surpassed the tones heard on some of the more costly modules and computer file sound banks. We were less enthusiastic about the fact that there are fewer total instruments available on the SD2 than some of the other devices in the same price range, including other Ketron offerings. Music producers who wish to focus on percussion-heavy tracks, however, may not miss the relative lack of instruments, as the SD2 has a plethora of drum samples and pre-built drum loops. Other users who may find they enjoy the Ketron SD2 are singers, rappers, casual musicians, or hobbyists who already know a bit about programming MIDI music on the computer, but are just starting to pick up an instrument. These users could use the pre-built drum loops or create their own and have a rhythm section to help them practice vocals or their instrument of choice. 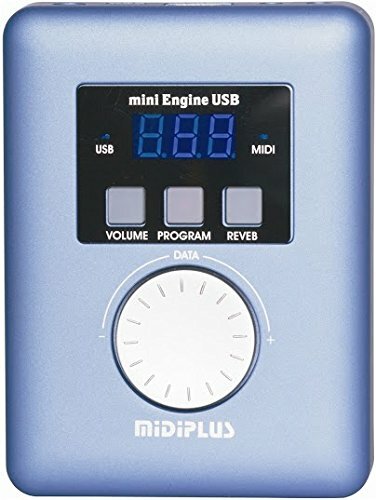 The Midiplus miniEngine USB MIDI Sound Module is one of the more affordable sound module options that exist. This device tends to be low-cost, which could make it a possible option for musicians who are on a budget, or who want to start learning about using sound modules without spending a large amount of money. The display and controls are straightforward and simple, as the manufacturer seems to have developed it with sound module novices in mind. We think that the small size of the miniEngine could be great or musicians who will be taking their sound module to and from a music class, practice space or gigs. We also found that the miniEngine weighed a bit more than other compact devices, at just over three pounds, but this weight is unlikely to prevent most buyers from being able to transport the miniEngine. The price and size necessarily limit the number of instrument tones this module offers, so the miniEngine may not appeal to experienced producers who want hundreds of tones and effects or require unusual instruments. We also felt some of the instruments, like the guitars, brass instruments, and woodwinds had lower-quality sound, which detracted from our evaluation of this module. Certain sound modules are designed with expert musicians and programmers in mind, such as musicians who work in a studio or have invested heavily in home recording equipment. The Roland Fantom-XR, which is priced accordingly, numbers among the modules that deliver to this specific audience. 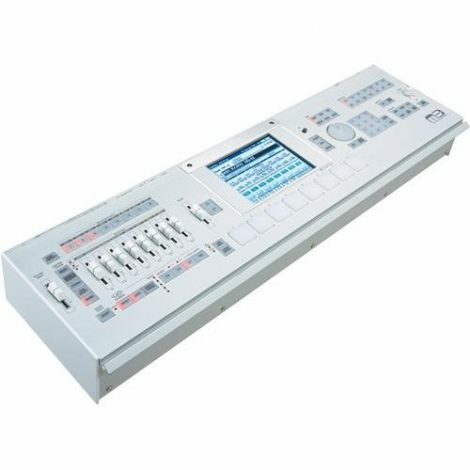 This model’s interface may overwhelm someone who is first starting to use sound modules, but the buttons are generally laid out in a logical fashion, allowing the user to control recording and playback, load samples through external PC cards, or edit sounds and effects. We also liked the detailed pixel display, which is a necessity given the comprehensive functionality that the Fantom-XR has. We noted that there were large numbers of instruments already present on the module, and liked that users could directly record using the module without hooking it up to another device. Additionally, the module has a software package that is compatible with both Windows and Linux, which we thought could help musicians who like to customize all of their module sounds. Users will need a dedicated space, such as a gear rack, to hold the module, however, because it is somewhat heavy and large. The Fantom-XR may also require users to invest time in extensive setup and customization time to get the perfect sounds, although musicians have also stated they were pleased with many of the standard instrument tones. Generally, sound modules with more extensive features also cost more and have more complex layouts, and the Access Virus TI2 Desktop adheres to both of these rules. 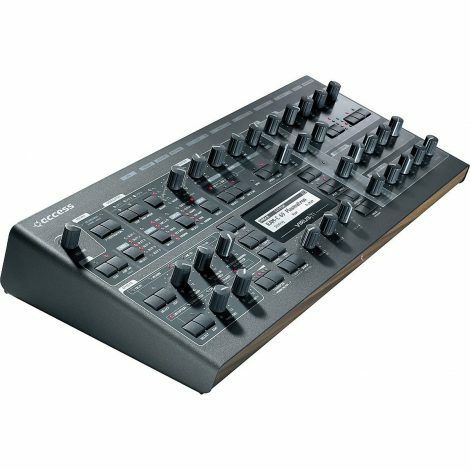 The Access Virus TI2 offers hundreds of sound module instruments, and highly customizable features, but you can expect to pay quite a bit for one of these sound modules ( $2,199.00 on Amazon right now). Many musicians who work with digital instruments, or know someone who does, are familiar with the debate over whether analog or digital devices sound better. We liked the approach Access took toward resolving this debate, by offering MIDI sounds that could be edited through keyboards or a computer, while also including several effects intended to evoke an analog sound. Of all of the sound modules we researched, though, this model had the most complex layout, as the module uses knobs to control many of the effects. Users have to already be familiar with MIDI keyboards to make the most out of this sound module, and have the space to store it where they can easily access its interface. Another possible issue users may experience is that the Access Virus TI2 is MIDI compatible, but can only make use of some of the synthesizer functions when they are using the module with other Access software. 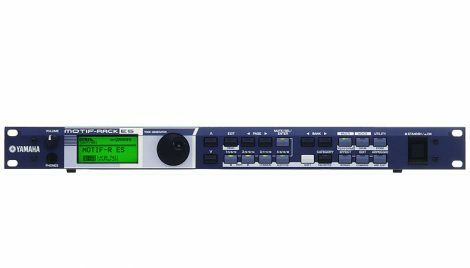 The Motif sound module represents Yamaha’s effort to place some of the more customizable editing options present in pricier sound modules in a lower-priced option. The Motif is designed for use in a rack alongside other effects packages, although it has a few effects of its own. Experienced musicians who already have a MIDI keyboard or digital piano and several other MIDI devices will appreciate the extensive drum and instrument options the Motif sound module has. We liked the backlit pixel display and relatively simple layout, too, because they would ensure musicians could easily access their favorite instruments during live performances. In addition to performing musicians, we felt producers could also benefit from the ability to edit and store new instrument sounds, as the Motif’s internal storage space is among the largest among modules at its particular price point. Like some of the higher-end models we looked at, the Motif sound module is compatible with any MIDI input device, but seems optimized for use with other Yamaha items in the Motif series. Therefore, this sound module may not be the best option for people who do not have several MIDI components already, or who know that they will be buying more Yamaha components in the future. The Korg M3M is intended for a more niche market when weighed against some of the more user-friendly and affordable sound modules that exist. 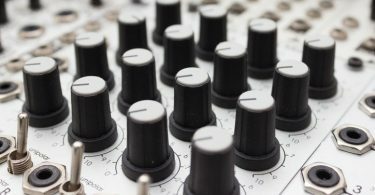 However, we found this module offered several interesting features that were not often bundled into basic sound modules, and in some cases, cannot be easily replicated with computer software. We especially enjoyed the inclusion of classic synthesizer and vocoder sounds meant to recall the best bands from the 1970s and 1980s, and the drum samples, which ranged from highly realistic snares and cymbals to deep, rumbling bass kicks evocative of classic hip-hop beats. The effects also go beyond many of the standards included in sound modules, encompassing flangers, amplifier emulation, and cross-fading between channels. We also liked the ability to save specific effects settings as profiles for individual sounds. Personally, I think that feature would come in handy when playing music with others, because I know the people I play with can look bored waiting for me to adjust the reverb effects on my digital piano until they sound just right. However, the price range means that this sound module is not for everyone, and you may need to be a musician who desires a certain type of synthesizer sound for the Korg M3M to pique your interest. Gibson, Copyright ©2013 John. “The MIDI Standard.” Introduction to MIDI and Computer Music: The MIDI Standard, www.indiana.edu/~emusic/361/midi.htm.